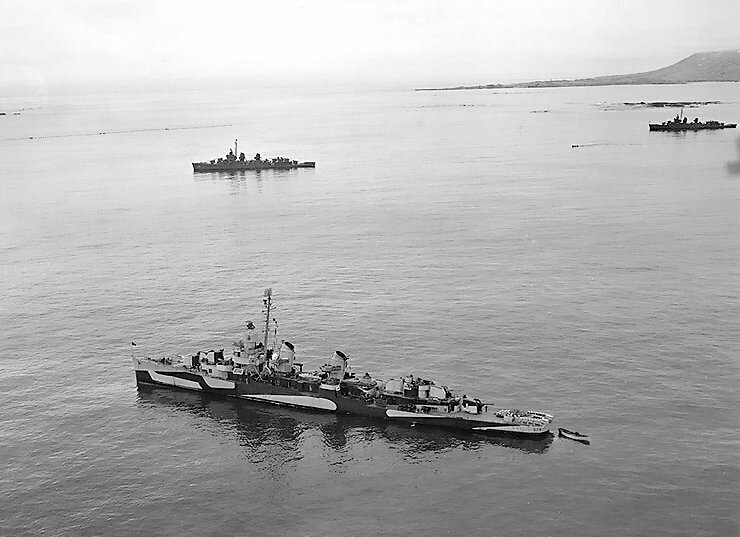 The World War Two [1939-45] torpedo shot which almost changed history was fired by the American destroyer USS “William D. Porter” on November 14, 1943 when a convoy carrying President Franklin D. Roosevelt [1882-1945] was just east of Bermuda. President Roosevelt was en route to the Tehran and Cairo Conferences with wartime allies including the Soviet dictator Josef Stalin, Britain’s Prime Minister Winston Churchill [he is pictured with both men in Iran here] and Chinese leader Chiang Kai-shek. He was aboard the battleship USS “Iowa”, travelling with Secretary of State Cordell Hull and most of America’s World War II military brass. 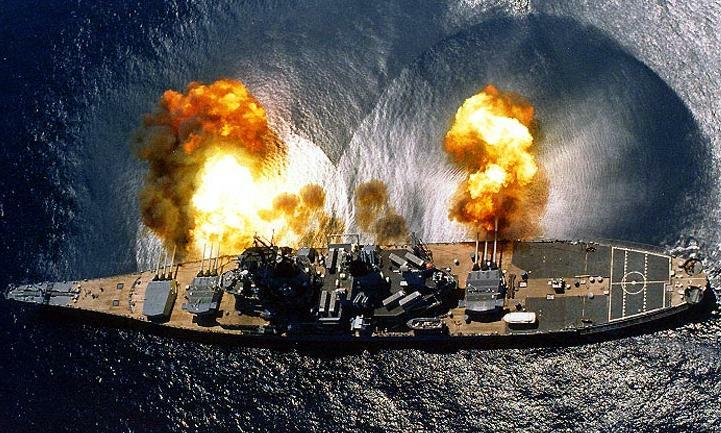 The President had requested an anti-aircraft drill to demonstrate the battleship’s ability to defend herself. The drill began with the release of a number of balloons for use as targets. While most of these were shot by gunners aboard “Iowa”, a few of them drifted toward “William D. Porter” and other escorts in the convoy which shot down balloons as well. This drill suddenly went awry when the number three torpedo aboard “Porter” — carrying a live warhead — discharged from its tube and headed toward the battleship. “To the astonishment and horror of the officers on the bridge, a live torpedo was in the water and headed straight for ‘Iowa’,” said American historian Gregory A. Freeman. “Officers on ‘Willie Dee’s’ bridge started racing around, barking orders and calling for confirmation that what they feared was happening was in fact happening. At most, the torpedo might take two minutes to reach ‘Iowa’, and battleships can’t turn on a dime, so there was no time to waste. “The ‘Willie Dee’s” commanding officer Lieutenant Commander Wilfred A. Walter ordered a warning immediately sent to ‘Iowa’. But the secret convoy was under strict orders not to use the radio. Instead, a signalman was to signal the battleship by flashing light. Unfortunately, in his haste and inexperience, the young sailor first flashed that a torpedo was in the water but moving away from Iowa. Becoming more flustered as he watched the torpedo swim toward the battleship, he tried again and somehow signaled that ‘Willie Dee’ was going in reverse at full speed. Pandemonium ensued as historian Mr. Freeman recounted: “The ‘Iowa’ turned sharply right and increased speed as its guns began firing on the incoming torpedo. Walter and his crew on ‘Willie Dee’ could only watch and hope the big ship made the turn in time. “The battleship sounded its General Quarters alarm, and the crew began racing to emergency stations. Those on deck soon saw the incoming torpedo as the ship leaned heavily to the left in a desperate maneuver. The list was so pronounced that Roosevelt’s bodyguards had to steady his wheelchair. One of the guards even reached for his pistol with the intent of shooting the torpedo as it came closer. After quickly conferring with his own crew, who had no immediate explanation for how the torpedo ended up in the water, Lieutenant Commander Walter tried to assure “Iowa” that the whole episode was just an accident. Under the circumstances, however, suspicions ran high, and the “Willie Dee” was ordered out of the convoy. “Iowa” continued on to North Africa and delivered the president for his history-making summits. But “Willie Dee” was sent to a US Navy facility in Bermuda. Fully armed US Marines greeted the ship as it docked and placed the entire crew under arrest — the first time ever that a US Navy crew was arrested en masse. “Willie Dee’s” crew was grilled in a secret inquiry in Bermuda whose first purpose was to determine whether the ship had been infiltrated by a saboteur. 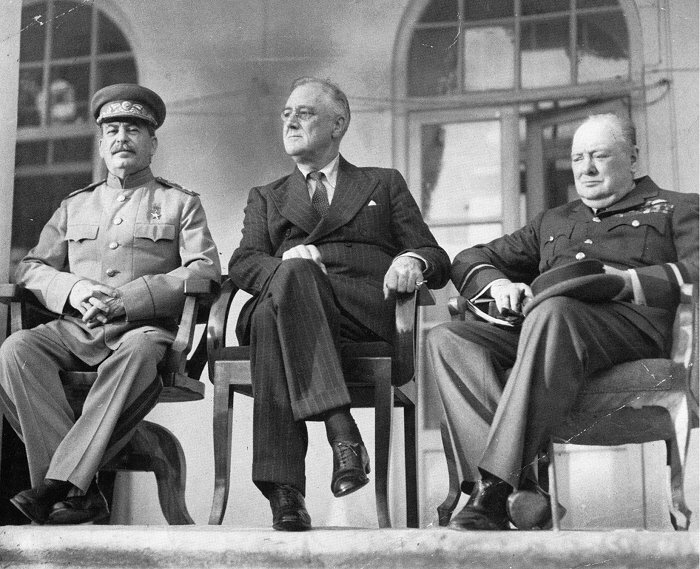 Was firing the torpedo a simple boneheaded mistake or part of a larger conspiracy to assassinate Roosevelt and derail the Allies’ summit? Nevertheless, ‘Willie Dee’ had nearly killed the President, so someone had to be punished. For the initial mistake and his subsequent cover-up, the 22-year-old Dawson was sentenced to 14 years of hard labour. Lieutenant Commander Walter and several of his officers were sentenced to shore duty. When President Roosevelt heard of the sentences, he ordered the Navy not to punish Dawson since the incident was clearly a mistake and no harm had been done. On 10 June 1945, “William D. Porter” fell victim to a unique — though fatal — kamikaze attack during the Battle for Okinawa in the Pacific. That morning, a Japanese dive bomber dropped unheralded out of the clouds and made straight for the warship. The destroyer managed to evade the suicide plane, and it splashed down nearby her. Somehow, the explosive-laden plane ended up directly beneath Porter before it exploded. Suddenly, the warship was lifted out of the water and then dropped back again. She lost power and suffered broken steam lines. A number of fires also broke out. For three hours, her crew struggled courageously to put out the fires, repair the damage, and keep the ship afloat. 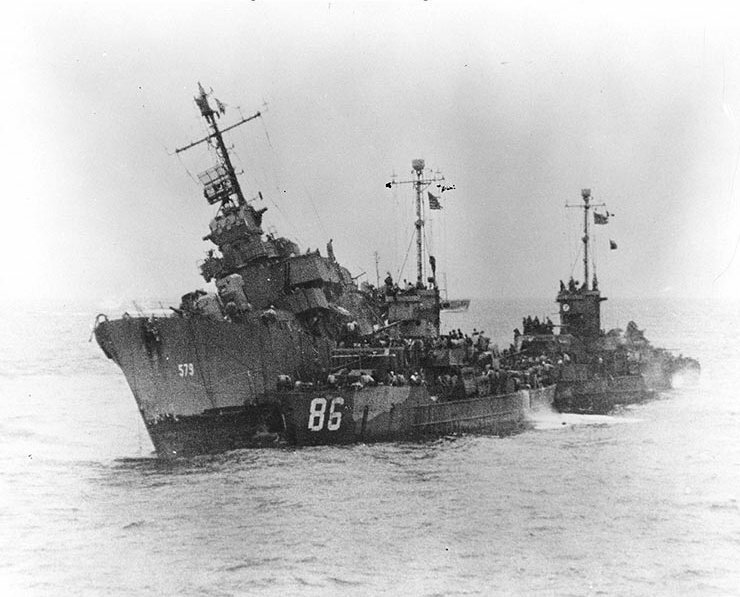 The crew’s efforts, however, availed nought; and, 12 minutes after the order to abandon ship went out, “William D. Porter” keeled over to starboard and sank by the stern. Miraculously, her crew suffered no fatal injuries. Is Shipwreck A 400-Year-Old Dutch Pirate Ship? I wish to commend Bernews for these amazing articles on Bermuda related history, I am a massive history buff, and inparticularly Bermudian history. Keep up the great job!! May i ask who write these articles, is it Dr. Harris?? Very interesting piece of history!